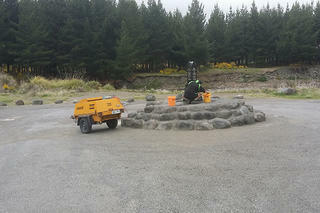 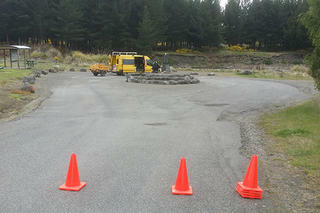 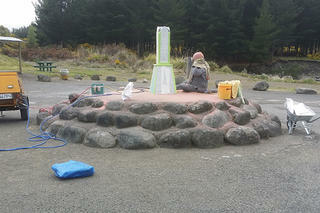 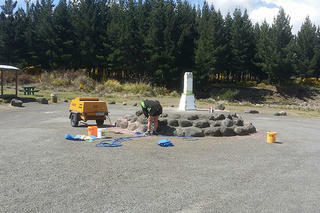 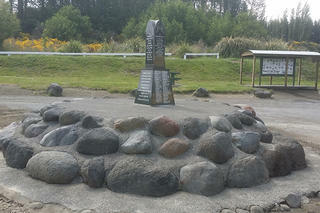 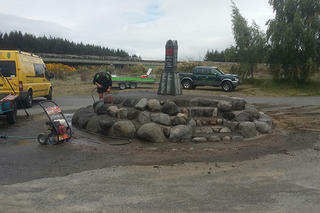 Tangiwai Memorial - Headstones, memorials, gravestones - natural rock, granite, sandblasted glass including restoration. 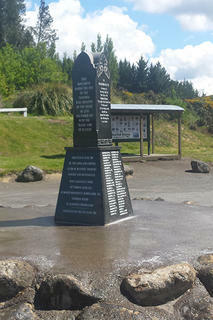 Nathan from Taupo Monumental in conjunction with Callum from Stone Creations in Taranaki (close friends since intermediate) had the pleasure on completing stage one of the restoration an addition of the 151 names of the victims of the Tangiwai Disaster. 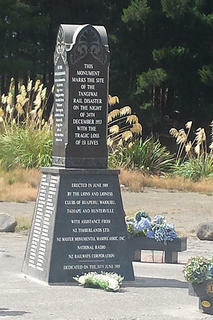 At 10:21pm on December 24th 1953, a Lahar from Mount Ruapehu washed out the rail bridge at Tangiwai and caused the Wellington to Auckland express passenger train to crash into the Whangaehu River . 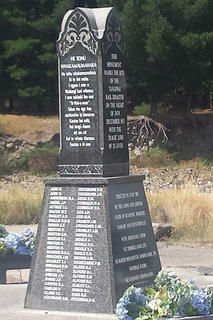 Although there has been a memorial to the accident on the site for many years the victims’ names had never been recognized on the site. 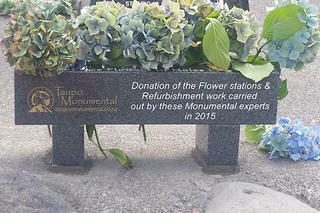 Callum’s father John is a survivor of the disaster so it was a project that was both Callum and Nathan were very pleased to be involved with. 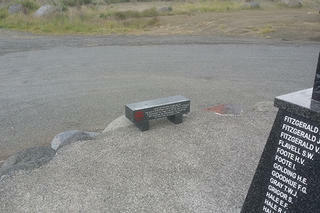 A small unknown at the time the project started was that fact that Tangiwai had taken another victim on the site. 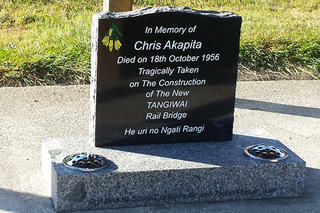 When construction began on the new rail bridge a worker on the site, Mr Chris Akapita, was killed and the body never recovered so both Nathan and Callum have donated a memorial on the site for Mr Akapita so his memory lives on.